Seye Isikalu’s work thoughtfully captures black bodies on screen. When watching Seye Isikalu’s short film, the ocean, it’s difficult not to become mesmerised by the director's experimental approach to lighting. The actors’ bodies are strikingly illuminated in nearly every scene, and delicate shades of red, yellow and blue emanate from the screen as one scene dissolves into another. Calling to mind the gorgeous lighting work seen in Barry Jenkins’ Academy Award-winning film Moonlight (though it should be noted that Isikalu’s film was released months before Jenkins’), the British Nigerian photographer turned filmmaker’s short provides a glimpse into the private life of a couple played by Nikki Fagbemi and Alexander Aplerku. the ocean. from Seye Isikalu on Vimeo. 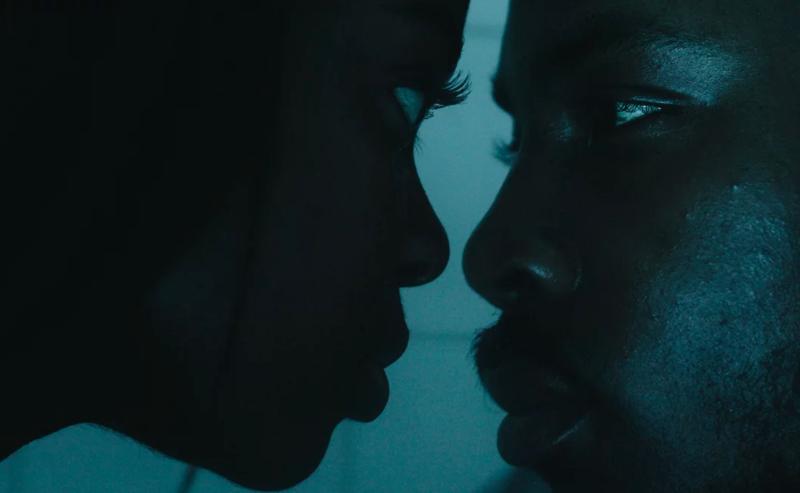 A visually remarkable dissection of the complexities of love and relationships, the nearly 9-minute long visual’s rich colour palette and thoughtful lighting extends to the dark skin tones of its cast. Through experimentation with the contrast of his shots, Isikaulu has developed a beautiful style of capturing his performers that celebrates their colouring – a significant undertaking given the tendency of mainstream cinema to pander to white skin. His latest, another short film titled yellow in blue., sustains the fly-on-the-wall nature of his earlier work on the ocean. An exploration of the lives of roommates Ama and Kazeem, who are forced to spend Valentine’s Day together when their respective plans fall through, it dissects themes of friendship and love, and touches on varying contemporary social issues. yellow in blue. from Seye Isikalu on Vimeo. As one would expect, it is also as beautifully shot as the ocean, it’s imagery sharp and detailed. Yellow tones abound throughout the film – visible everywhere from the apartment set’s walls to the plantains fried up by one protagonist – offsetting the depth of the actors’ skin tones. Currently raising money to fund his project Skinny Jeans – a scene from which, Monochrome, has already been released – Isikaulu intends for it to be a film that explores and celebrates the black male experience across the spectrum of black masculinity. Learn more about Isikaulu’s work here, or donate to his Skinny Jeans fundraising campaign at GoFundMe.